SSL is a proven technology and a keystone of cloud security. 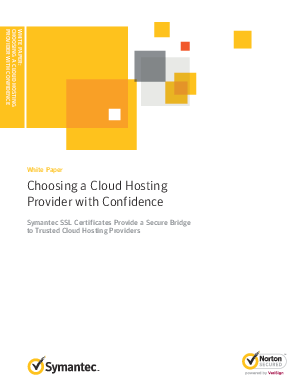 When an enterprise selects a cloud computing provider, the enterprise should consider the security options selected by that cloud provider. Knowing that a cloud provider uses SSL from a trusted CA can go a long way toward establishing confidence in that provider's commitment to safeguarding the data in its possession. evaluating (and contracting with) cloud computing solutions.